Our core belief is that everyone has the right to learn in a safe and supportive environment, free from prejudice. We look to prevent and reduce incidents of bullying by supporting the victim and challenging and re-educating the bully. Whilst bullying is not a breakdown of a friendship/relationship, an isolated incident or between two individuals of equal power, we acknowledge the distress and anxiety this may cause, and will work with each party to try and establish an acceptable resolution. How can you report concerns? 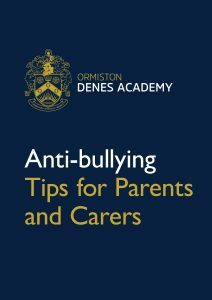 Click below to download or view our Anti-bullying Tips for Parents and Carers booklet. 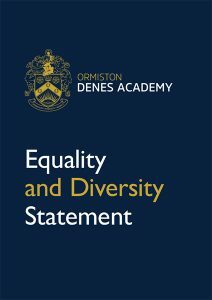 Click below to download or view our equality and diversity statement poster. You might also find the information on our equality statement page useful. We have created an in-house reporting system our students can use. The system is anonymous so you can report any concerns about yourself or someone you are worried about. The system is monitored real time by our safeguarding team. Students can report any safeguarding concerns electronically at any time, whether during or outside of the school day. If you are feeling worried or threatened online by something that happens to you, you can report directly to CEOP. They are part of the national crime agency and read every report. They will work with the police and help solve or deal with any problem.